We’ve all taken a medication with food to avoid an upset stomach. Many of us have also been advised by our pharmacist to drink a full glass of water with some medications. But did you know that the time of day you take a prescription drug may also be important? 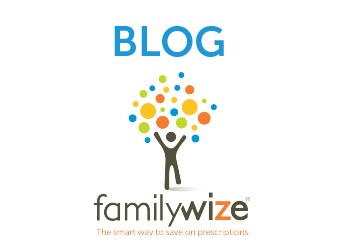 If your pharmacist says to take your dose at the same time each day, please listen! Cholesterol production in the liver is highest after midnight and lowest during the morning and early afternoon. Because of that natural rhythm, the British Heart Foundation asserts that statins are most effective when taken just before bedtime. The timing of blood pressure medication has been a hot topic in the last year. There are some recent studies that suggest that taking blood pressure drugs just before bed can prevent more heart attacks than taking them first thing in the morning. This is because a majority of heart attacks occur in the early morning hours. Having said that, there are many factors to consider. For instance, doctors often recommend that older patients take their blood pressure medication in the morning, because if they take it in the evening, standing up too quickly in the middle of the night can cause a sudden drop in blood pressure and result in a fall. Sometimes split dosing makes sense (i.e. taking half the dose in the morning and half the dose in the evening), but some medications are long acting or cannot be split. It is critical that you discuss dosing with your doctor or pharmacist before making any changes. While you have more flexibility if you take a combination birth control pill (meaning it includes both estrogen and progesterone), if you choose to take a progesterone-only pill, then taking your dose at the same time each day becomes extremely important. Commonly prescribed for breastfeeding women and those avoiding estrogen, the pills work by making cervical mucous unfavorable for sperm. The effect can wear off fairly quickly. Doctors recommend taking your pill within the same (roughly) three-hour period each day to make sure the drug is effective at preventing pregnancy. If you are unsure when to take a prescription medication, please be sure to ask your pharmacist for guidance. He or she will be able to discuss what will work best for you.